Logan and I were wild and crazy last night. 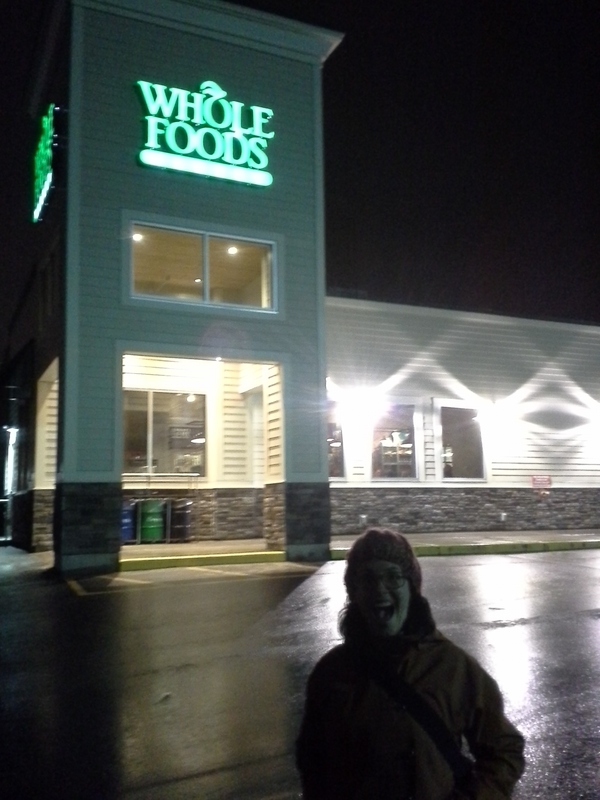 We headed down to Whole Foods for their special night from 10pm to 1am. It’s their version of Black Friday, where they have special deals, raffles, a mascot roaming the aisles, and lots of shoppers. 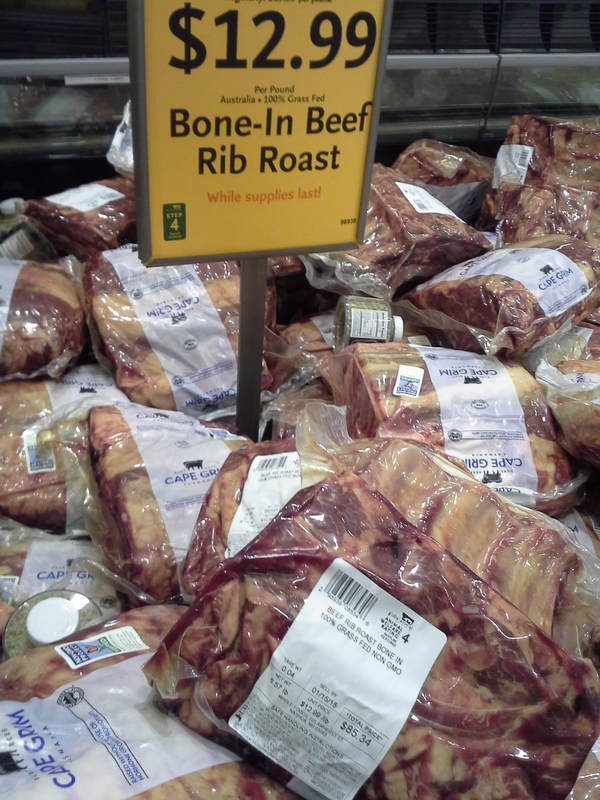 We heard rumors that the dry aged beef would be on super sale, but that was not true. 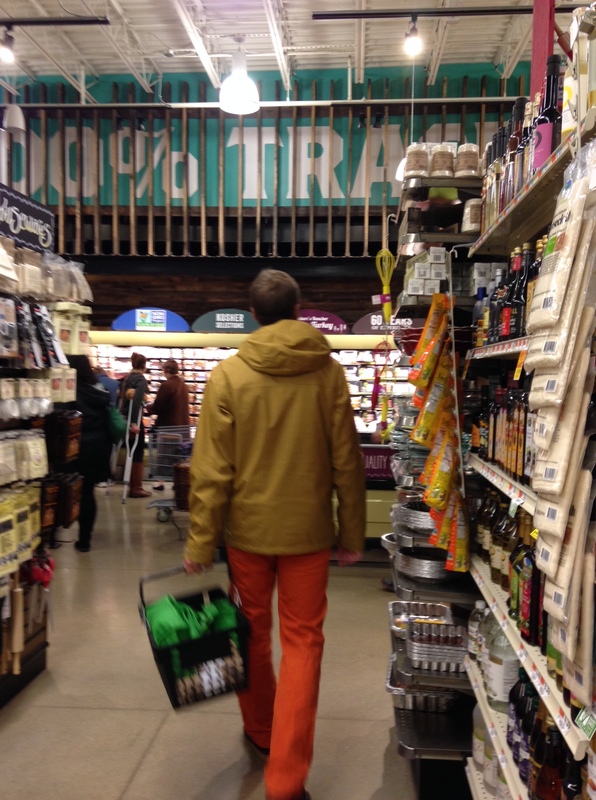 Other goodies were on sale including clementines, San Marazano tomatoes, and Aranciata soda. 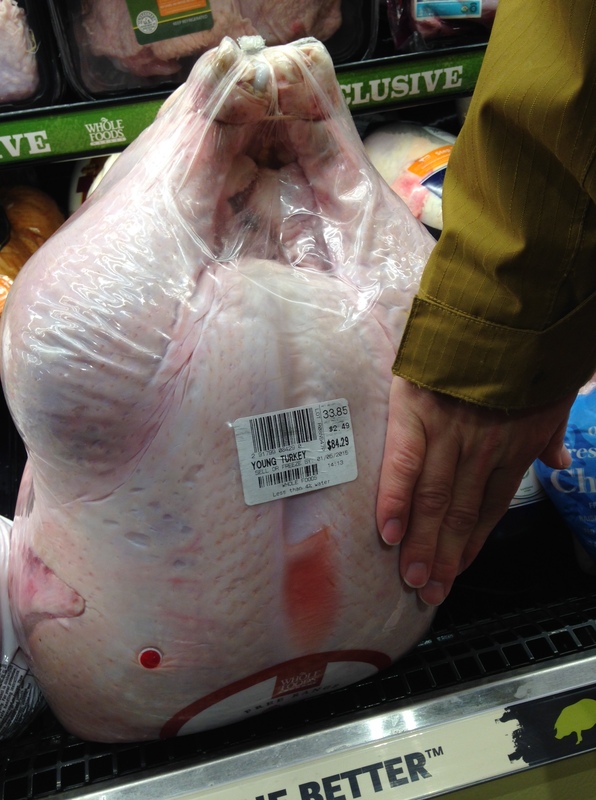 Most impressive of all was the 35lb turkey for sale, a freezerful of Bone-In Beef Rib Roast with prices from $60 to $90, and Humbolt Fog cheese for 50% off. 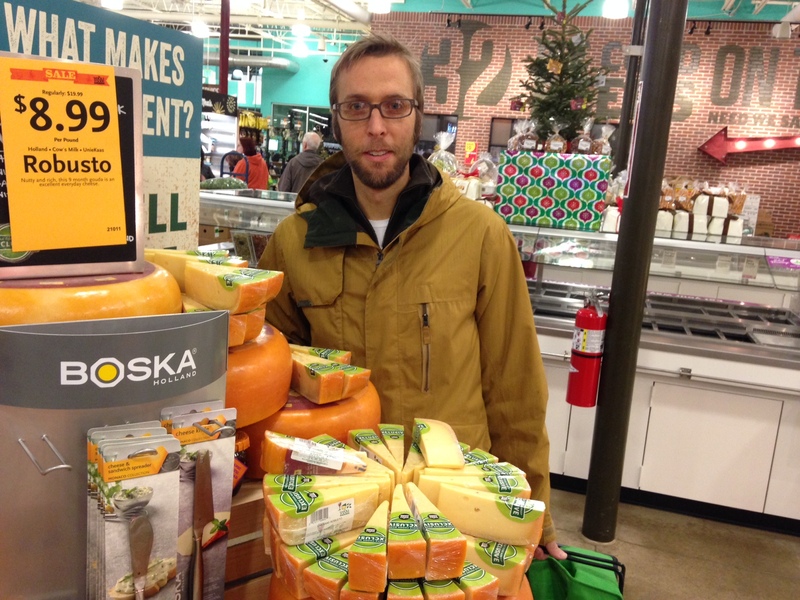 One fellow shopper actually purchased a wheel of cheese! I had shopping envy. Logan and I stayed in our wheelhouse and purchased some meat, chicken, tomatoes, and then splurged on buying clementines and a floral arrangement. We can be pretty boring, but last night we felt like really letting loose, and I think we succeeded.